Suburbs are far older than most of us tend to realize, but when we talk about urban sprawl we most often think of the planned communities that popped up during the industrial revolution. Photographer Christoph Gielen spent seven years documenting some of these communities in America from a helicopter, creating a fascinating series that he calls Ciphers, which he published in a book of the same name. 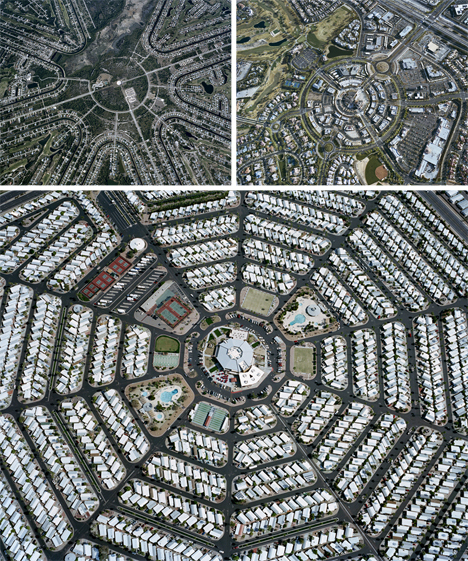 Seen from within, urban sprawl seems like little more than closely-built homes that all look the same. But there is a deeper meaning to these communities that is sometimes glossed over. They were built at the height of the country’s growth phase, when driving miles to work didn’t seem like a bother because gas prices were low and expected to stay that way. 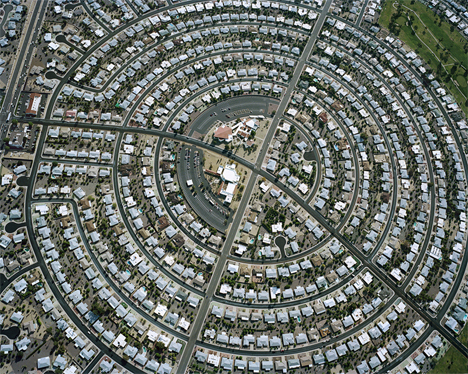 But the best laid schemes of mice and men often go awry, and eventually suburbs became more of a headache and an eyesore than the pleasant communities they were meant to be. A 45-minute commute between work and home became an extremely expensive proposition, but suburban homeowners were stuck with their “American dream” hoames. Today, these relics of a time gone by are still mostly inhabited, their residents still driving long distances each day. 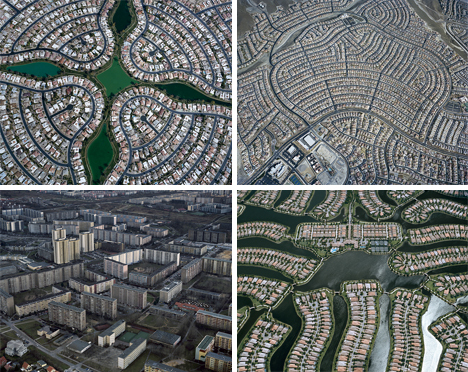 The goal of Gielen’s project was to draw attention to the effect these communities have on the environment. 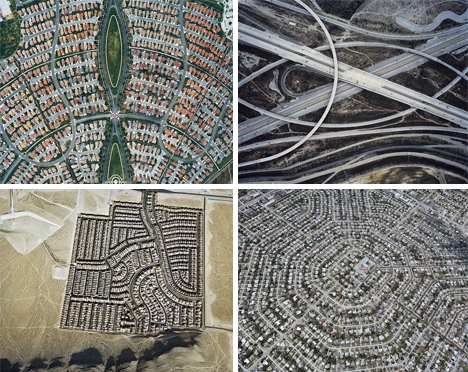 The practice of building further and further away from city centers, and in turn creating the need to use cars to drive long distances, creates an environmental burden that he calls “fascinating and profoundly unsettling.” Regardless of your opinion of these far-flung planned communities, there is a certain sort of lovely aesthetic to the patterns and shapes formed by the streets, green spaces, and tiny box houses that make up the American suburb.